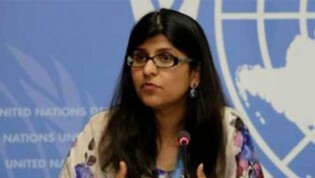 UN High Commissioner for Human Rights today called upon the Bangladesh government to urgently revise the Digital Security Act, to ensure that it is in line with international human rights law. The European Union has expressed concern over protest and violent clashes in Dhaka that triggered since deaths of two college students in road crashes. A video of twin babies, not more than a few days old, brought along with the fleeting mass of Rohingyas has taken the internet by sympathy. The UN Migration Agency, IOM, in Bangladesh has appealed for an immediate fund of US$ 18 million for humanitarian assistance as tens of thousands of Rohingya continue to stream into Bangladesh since August 25. Bangladesh, the delta country, has been in the line of a few devastating tropical cyclones. In their trail, the cyclones have left behind complete chaos, death and despair. As the country learns to adapt and respond to this natural disaster more efficiently, we take a look back at some of the worst tropical cyclones to have hit the country. Abdus Samad Sheikh, 60, cannot sleep peacefully at night if he doesn't plant a tree every day. A private university in Thailand has decided to accept rice as payment for its tuition fees. At least 24 people were killed and 74 injured, many critically, in a huge fire triggered by a boiler explosion at plastic packaging factory Tampaco Foils Limited in Tongi industrial area of Gazipur today. Many migrant domestic workers including Bangladeshis are trapped in abusive employment in Oman with their plight hidden behind closed doors, Human Rights Watch (HRW) said in a report released today.